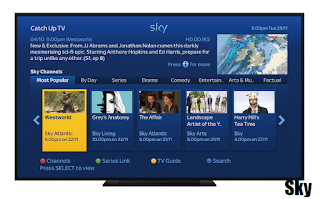 Sky has announced a new set of features that are designed to improve how viewers access catch-up TV content on the platform. New accessibility features, to make it easier to see the menus are also being rolled out. The new update is being downloaded to compatible Sky+ boxes includes Auto Play and Catch Up Series Link, which will enable subscribers to easily series link their favourite Catch Up TV series so it’s ready in their Planner. Viewers will have the flexibility to indulge in episode after episode of the latest on-demand box set with Auto Play. Or set Series Link on Catch Up shows, from Modern Family to Ray Donovan or A League Of Their Own, in the same way regular linear shows can be series linked. 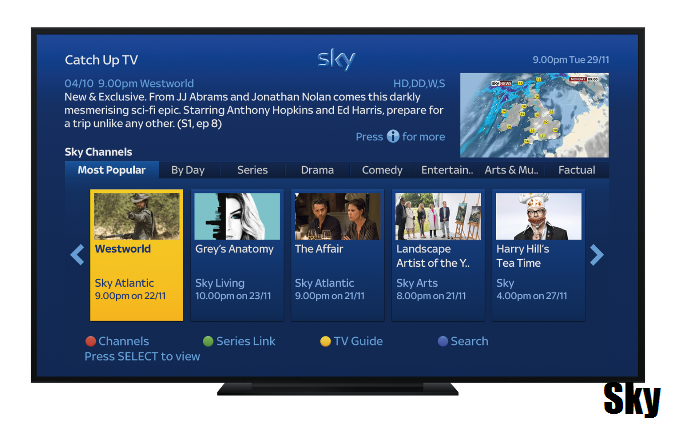 The new features follow the latest in a series of updates to Sky+ this year, including Download Next, which automatically downloads the next episode in a series customers’ are watching and the introduction of the Continue Watching tab in the Planner, so subscribers can easily pick up where they left off. Auto Play: Watch one episode after another effortlessly. Now when customers get to the end of an episode, the next one will automatically start to play provided it’s already downloaded to their Planner. Or simply press the green button at any point during an episode to watch the next episode immediately. Catch Up Series Link: Now customers can easily set a series link on a Catch Up TV programme. Go to the Catch Up TV section or a Catch Up show that’s been downloaded to the Planner and press the green button to ‘Series Link’. This will record future episodes of the show so customers never miss their favourite programme again. Accessibility: Customers can increase the font size on the Homepage and Services Homepage, through the new ‘Increase Homepage Font Size’ setting. Select the Accessibility tile after pressing the Services button. Choose ‘LARGE’ to increase the font. Customers can still adapt the contrast and font size across the whole Sky Guide through the ‘Increase Sky+ Contrast & Font size’ setting. According to Sky, Auto Play will work best when Download Next is switched on and the next episode in the series customers’ are watching is downloaded to their Planner. Auto Play is not available on recordings of linear TV series. The Auto Play feature will be enabled for all customers when they receive this update. It is possible to turn the feature off in the Services-> Options -> Customise menu or choose to turn it on/off on Kids or non-kids TV shows.